Crystal therapy is basically an art of laying-on-of-stones. 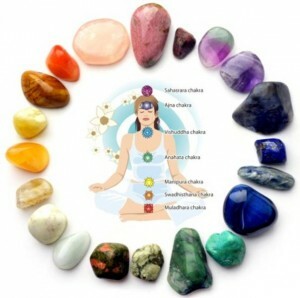 With the knowledge on the body’s chakra points, a trained crystal healer or therapist selects and arranges the gems, stones and crystals to resonate the kind of energy that will open the chakras. This way, the energies delivered by the arranged stones will blend in and correct the imbalances to the body’s chakra system. Once this is achieved, the body will naturally heal. Crystal healing proponents believe that crystals and gemstones have properties that facilitate healing. Many sites promoting crystal healing allege that the history of this practice is ancient, dating back at least 6,000 years to the time of the ancient Sumerians of Mesopotamia. Ancient Egyptians are also referenced on such sites as being among the first people to have adorned themselves with crystals — including lapis lazuli, carnelian and turquoise — to ward off illness and negative energy. Crystal stones are known to bring color and light into the aura or energies surrounding the physical body. Via the chakra system, the energies of the stones penetrate through the subtle layers of the body’s innate energies, a principle known as vibration and resonance. Since crystals form specific grid patterns and various forms of sacred geometry, they have the capacity to create pillars of light, which opens up the body’s chakra system.